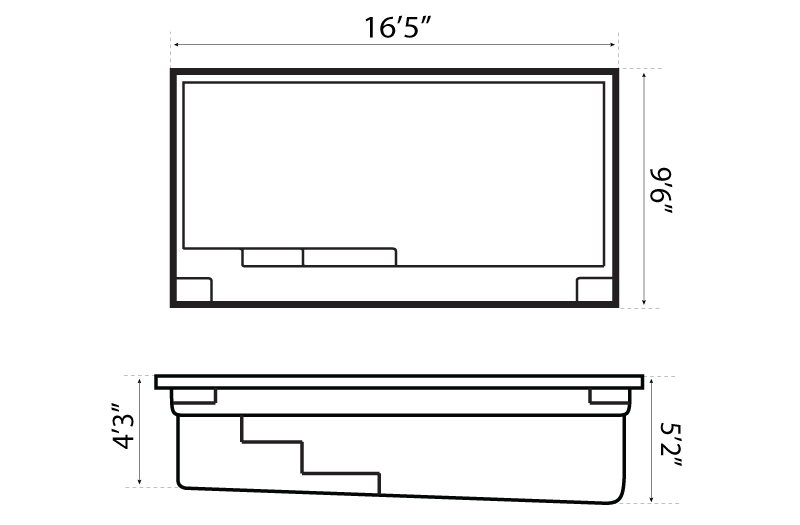 Harmony 16 - 9' x 16' x 4' 2" - 5' 2"
The Harmony 16 is a rectangular swimming pool with square corners that provides you with a modern and elegant design. 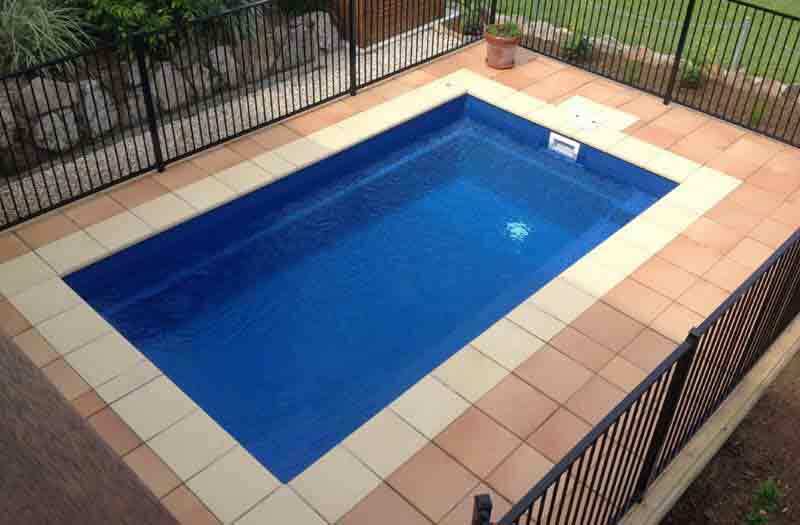 There is a bench running the length of the pool with entry and exit points in the shallow and deep ends. 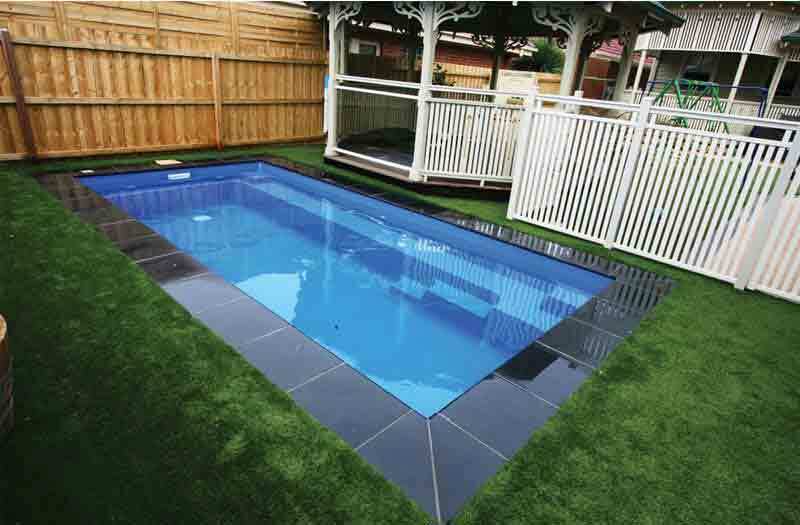 The Harmony is also a deep pool that ensures even the tallest people get a decent swim. The Harmony is 9?6? in width enabling it to fit into home blocks where the width or the depth of the block is limited. 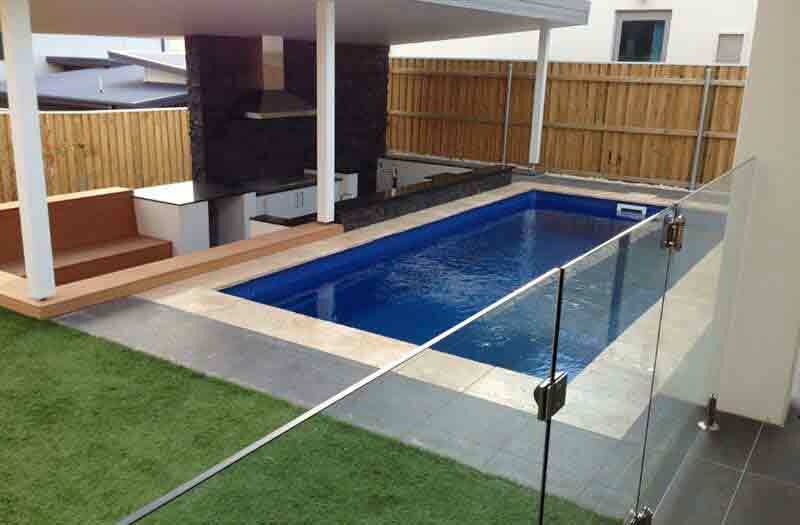 By having the full length bench and steps on one side of the pool the design allows the deepest part of the pool to be well away from any house foundations. 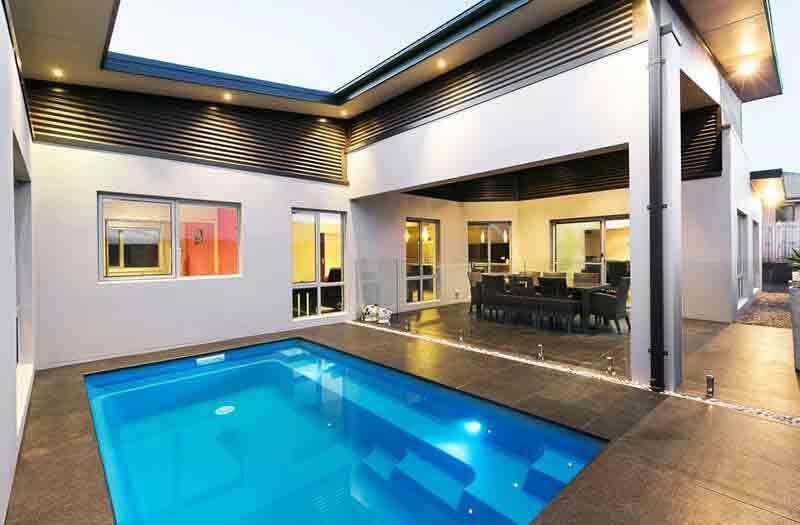 This can often allow the pool to be situated closer to the home which is a great benefit where space for a pool is limited.